Sakura Clock screensaver: a clock screensaver with a Sakura tree and Japanese motives! Sakura Clock Screensaver is a bright and positive adornment for your desktop inspired by Japanese motives. It brings you the essence of Japanese spirit delivered in a cute and colorful manner. 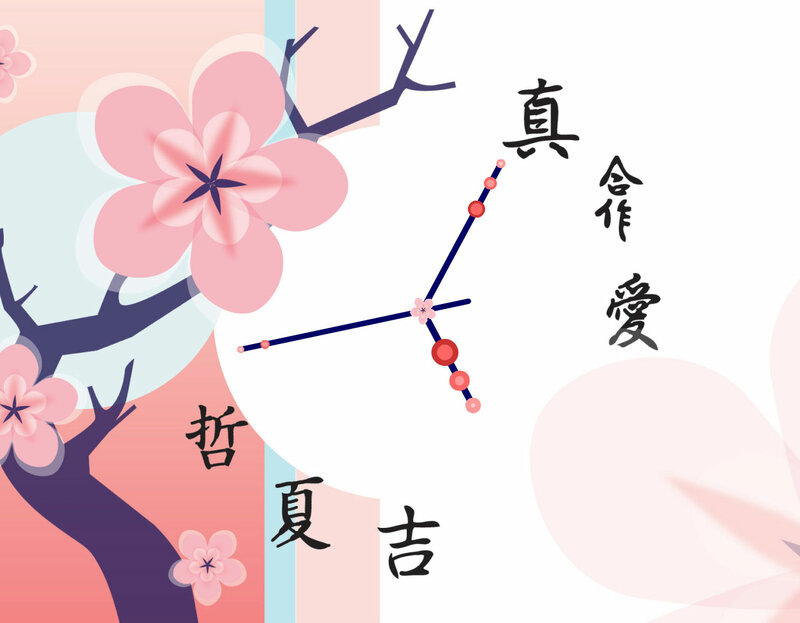 Sakura is a very well-known symbol representing honorable Japanese traditions and way of life. Now you can plunge into the exotic atmosphere of rich Japanese culture simply by admiring a blossoming Sakura tree. Tranquil meditation and quick refreshment is guaranteed! Genuinely beautiful blossoming Sakura tree consists of all imaginable tints of pink. Color gradation is very smooth and the entire screensaver looks very stylish shining with vivid assortment of colors. The clock design contributes to the surrounding environment and looks truly impressive. It seems as if Mother Nature itself has created this masterpiece and put life into it. Admiring this wonderfully crafted screensaver will be a real feast for your eyes and a balm to the soul. Choose Sakura Clock Screensaver and you will have a refined piece of centuries-old Japanese culture right on your desktop. Add a bright and positive adornment for your desktop!